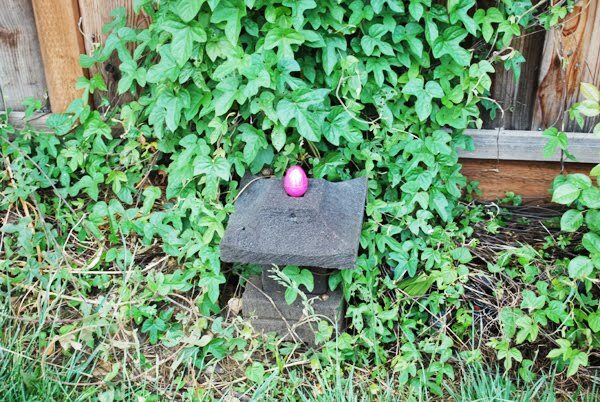 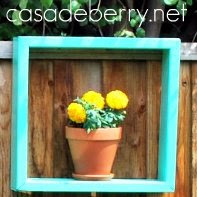 I love the color contrast of this pink egg and the greenery around it! 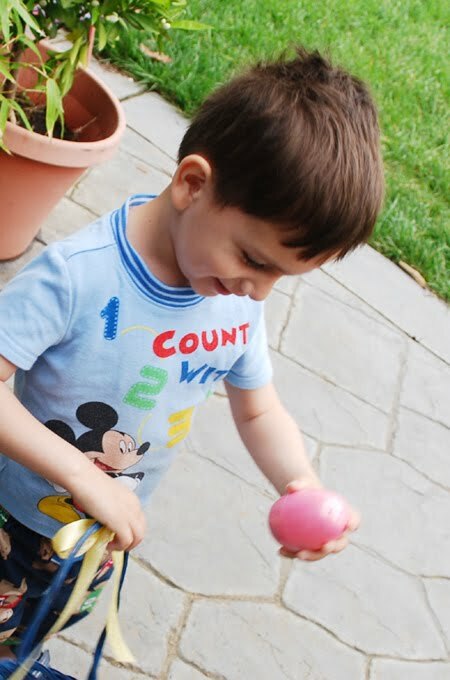 My boys did a great job finding each and every single egg. 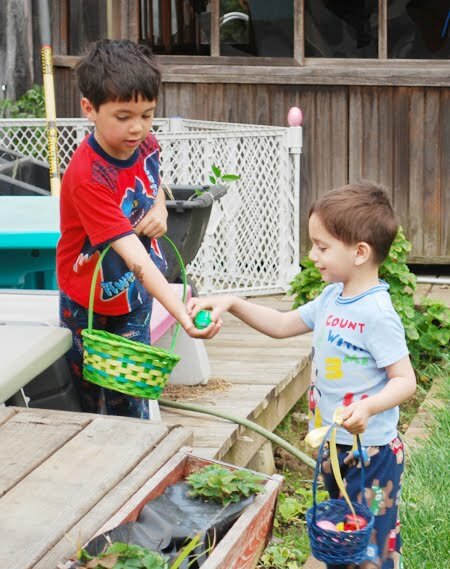 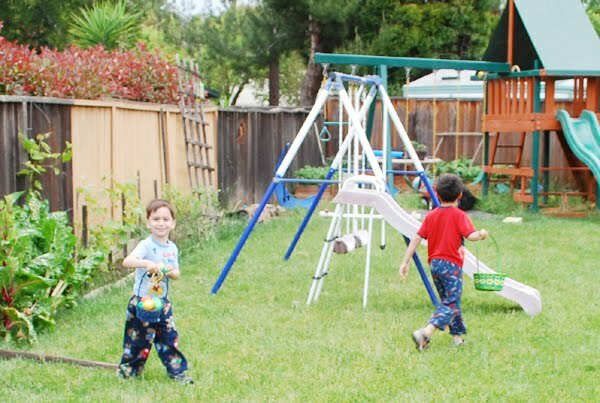 My oldest was such a good big brother – he shared his loot and helped his little brother find a bunch of eggs. 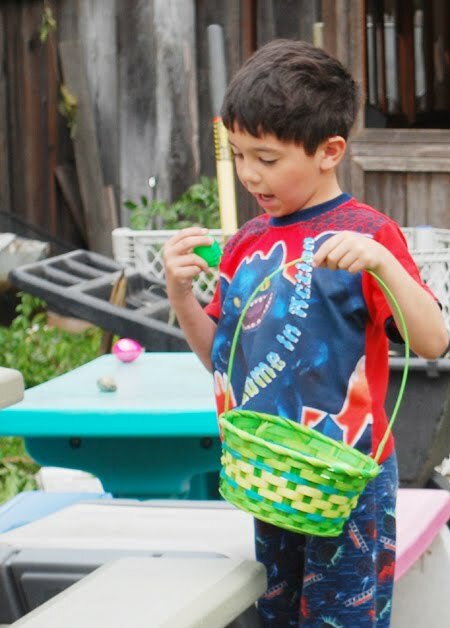 Then we all pigged out on chocolate eggs, yum!